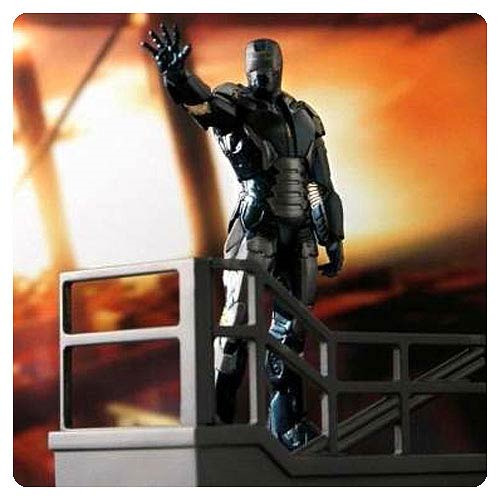 Amp up the excitement of the hit Iron Man 3 movie and bring the Iron Man suits into your life with the Battlefield Collection from Dragon Models! This Iron Man 3 Mark 40 Hyper Velocity Shotgun Suit Mini-Figure features the Mark 40 Iron Man armor as seen toward the end of the blockbuster Iron Man 3 film. Measuring 3-inches tall, this non-articulated figure is highly detailed, comes fully assembled, and even has its own special diorama display!